The scientific proof of the effectiveness of chiropractic adjustments on sciatic nerve pain is becoming difficult to argue with. Spine health doctors, chiropractors and other health experts can all attest to the benefits that chiropractic care delivers to those who suffer from sciatica. But many still question “how?” To fully answer that question, we must first address what sciatica really is. How do chiropractic adjustments help? 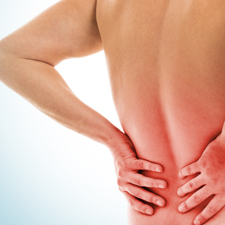 Because sciatica is a disorder of the lower spine, the sciatic nerve must be relieved of the distress signals that it continuously receives, causing pain to radiate down either one leg or the other, often ending at the foot. Chiropractic adjustments help the spine to overcome the misalignment that is causing the sciatic nerve to become irritated. Through regular adjustments, yoga, massage and even acupuncture, many sufferers have been able to recover from the daily symptoms of sciatic nerve pain and experience freedom to fully engage in their favorite activities again. Only through x-rays and full physical exams can your chiropractor in Leawood fully determine if your pain is actually sciatica. At Adjust Your Health Chiropractic, your visit will include a full exam, x-rays and consultation to find out the exact cause of your issues. Only then will we work with you to develop a comprehensive treatment plan that includes gentle chiropractic adjustments meant to decrease and finally eliminate your pain. Call our team in Leawood now to schedule your appointment now at 913-681-7757.